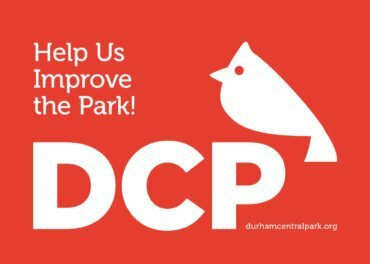 Durham Central Park competes for $25K grant and needs your vote! We need YOUR vote for $25K! Durham Central Park, Inc. is now in the running to bring a FREE 10 week live music series to Durham, June-August 2017. Sponsored by the Mortimer & Mimi Levitt Foundation, a national foundation dedicated to strengthening the social fabric of America through free live music, Durham Central Park hopes to qualify as one of 15 winning organizations competing in the Levitt AMP Durham Grant Awards. The awards are an exciting matching grant opportunity created by the Levitt Foundation to serve small to mid-sized towns and cities with populations up to 400,000. Up to fifteen nonprofits will receive $25,000 each in matching funds to produce their own Levitt AMP Music Series—an outdoor, free concert series featuring a diverse lineup of professional musicians. 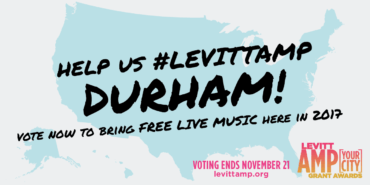 Durham Central Park’s proposal is now posted on the Levitt AMP website for public voting: http://levittamp.org. If successful, Durham Central Park will partner with Durham-based Art of Cool Project on three of the ten concerts. A successful campaign for Durham Central Park depends on community participation to get as many online votes as possible to bring the concert series to town. Community support, as measured by the number of online votes received, will be one of the key factors when the Levitt Foundation selects up to 15 winners. Supporters are asked to visit https://grant.levittamp.org/voter-registration-page/ to register and vote. Online public voting is now open and ends November 21 at 5:00 p.m. Pacific Time. The Top 25 finalists will be selected through online public voting. The Levitt Foundation will then review the proposals of these 25 finalists and will select up to 15 Levitt AMP winners, which will be announced on January 5, 2017. “Durham Central Park’s public surveys and charettes show people value Durham Central Park as a gathering place and want more FREE concerts at the Park. This is the way we can make it happen, with your help,” says Tess Mangum Ocaña, who co-wrote the grant with DCP Executive Director Erin Kauffman. Durham Central Park is the five-acre downtown oasis on Foster Street. DCP is a city park, developed and maintained by Durham Central Park, Inc., a 501(c)(3) organization. Next Thursday, November 3rd, DCP will be the temporary residence of a crew of goats from The Goat Squad! These goats will be tasked with the job of cleaning up (eating) the kudzu that has grown over the small section of the Ellerbe Creek on the northern most end of the Park (at Roney and Corporation Streets, across from the ballpark lot). You may not even know that the creek is daylighted in that area! It’s kind of hard to see it because so much has grown over it in the past couple of year. But, these 4-legged critters will be hard at work eating as much kudzu and undergrowth as possible! Then on Saturday, November 5th, from 9-Noon, we will have our monthly volunteer cleanup workday. During the workday, volunteers can go into the creek are and help the goats out by pulling the kudzu that they can’t reach off the trees. All are welcome to join. Plus you’ll get to pet the goats! The workday will start at the red table by the Grace Garden (at the bottom of the stairs on Roney Street). Many thanks to the Rickhouse and Picklefest for helping to make this happen! The fine folks at the Rickhouse chose DCP to be the beneficiary of the funds raised during their Picklefest in July. They raised $2400 for the Park and with that donation, we are able to bring goats to do this work!! The goats will be cleaning up this section of the creek for 4 days, from November 3-6. Stop by and check out their progress. It’s going to look much different once their work is done! You may have noticed that the construction fence on the east side of the Park moved a little closer to the street yesterday. Here’s what’s happening…. The workers have pulled up a few pieces of the sidewalk to install a storm drain to assist with the drainage from the hillside. The new drain will help the section of the park between Mt. Merrill and the Liberty Arts Foundry from getting so muddy. This project should take about one week from start to finish. The sidewalk will be re-installed and depending on the weather, should be re-open next week. Access to Mt. Merrill and the Liberty Arts Foundry will NOT be impacted during this project. The new loop sidewalk construction on the hillside is progressing slower than expected. All of the rain has delayed the process. But, now that the sun is out, they are moving along. We’ll keep you posted! The Skate Park repairs are all finished and it is open for skating once again! If you see someone from Parks and Rec, make sure to give them a high five for helping to make the repairs happen. Thanks to all for your patience with this process! DCP’s current master plan which will be updated at the design charrette! During the past few weeks, we’ve been seeking community input about the Park – how people use the Park, what they like, what needs improvement, etc – through our Community Input Survey in ENGLISH and SPANISH, and community input meetings. Hundreds of people have shared their thoughts and we are so grateful! Now it’s time for the Master Plan Design Charrette. A design charrette is where designers and community members get together and, using the community input from the survey results, draw and dream of what the Park will look like in the future. From there, a revised Master Plan will be created and the DCP board uses it as a guide for future updates and improvements. The Pavilion that houses the Durham Farmers’ Market and Mt. Merrill are both the direct results of community input to guide creation and revision of the Master Plan. The Master Plan Design Charrette will be held on Saturday October 8th, 9 am-Noon at Measurement Incorporated, 423 Morris Street. Also, you have probably noticed that the park’s big hillside and the skate park is currently closed. We are currently installing a Loop Sidewalk between the Leaf and the Skate Park, an element that has been on the Park’s Master Plan for a long time. Plus, much needed repairs are being done at the skate park. 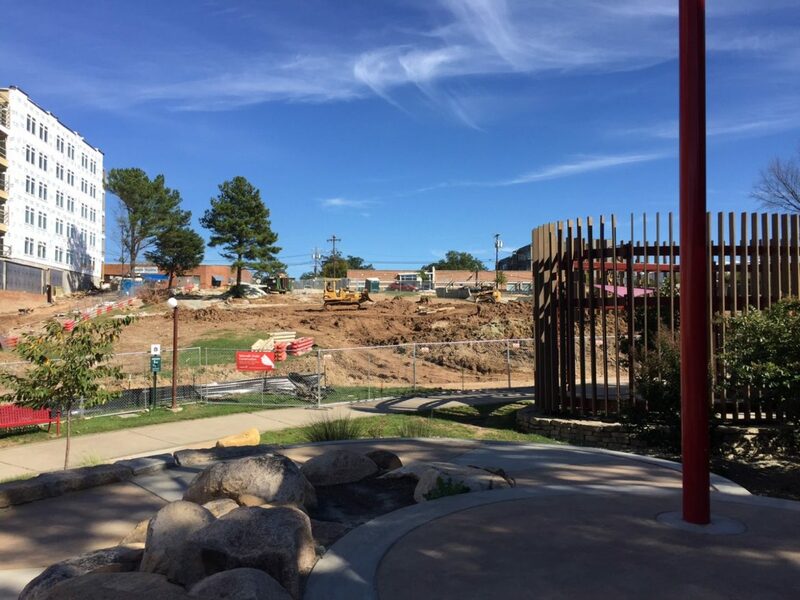 Right now, the whole hillside is torn up, but in a matter of weeks, an ADA-accessible loop shaped sidewalk will be installed around the great lawn. The lawn will be re-graded back into a hillside that won’t be nearly as muddy and difficult to traverse as it is now. Please join us for the Charrette and help us shape the future of the Park! NOTE: We are watching the weather closely. If Hurricane Matthew starts heading our way, we may postpone. CHECK OUR WEBSITE FOR DETAILS! You may be wondering why the park’s hillside is under construction. A new loop sidewalk is being installed around the perimeter of the lawn! This new sidewalk will be ADA accessible and it will create a much needed connection between Rigsbee Ave and Foster Street on the east side of the park.This loop sidewalk has been part of the Park’s master plan for over 20 years. For a long time it was, what felt like, an unattainable dream because a sidewalk of that scope and design is a very expensive project. 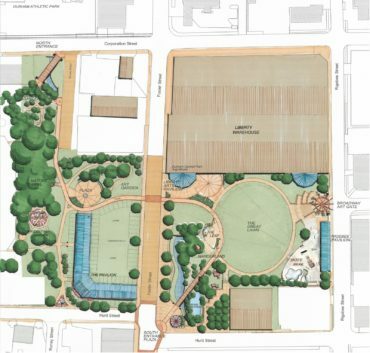 In 2014, East-West Partners, the developer of the Liberty Warehouse Apartments, approached the Park and proposed that they help build the sidewalk in the Park while their crews are assembled. 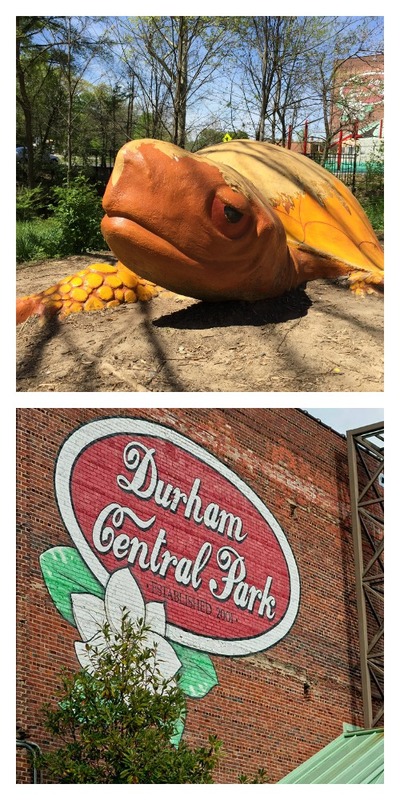 Since then, Durham Central Park, Inc, the City of Durham, and East-West Partners has been working closely to finalize the details to make this new connection a reality! This area was once the site of Mangum Warehouse No. 1& 2, tobacco auction warehouses. The warehouse was similar in size and scope to Liberty Warehouse (the current site of the Liberty Warehouse Apartments). Mangum Warehouse was demolished sometime in the 1980s, according to opendurham.org. In the late 90s, the City of Durham acquired the land and it created the east side of Durham Central Park. Over the next 10 years, brush was cleared, the hillside was graded and it became an wide open green space that is now called the Great Lawn. In 2009, Parks and Rec built and opened the skate park on the south east corner of the lawn. Now, as the land for the sidewalk is being prepared, big chunks of the foundation of Mangum Warehouse are being unearthed, as you can see in the picture. That was expected and if you are watching it happen (like I am), it’s like an urban archaeological site! In addition to the loop sidewalk, there will be a proper entrance to the park built near the intersection of Broadway and Rigsbee. This is another long planned addition that will welcome our neighbors from the east into the park. The sidewalk installation should take about 8 weeks and we are hoping to re-open the area in late fall. That, of course depends on the weather. After the sidewalk is constructed, the hillside will be regraded and seeded with grass so that it, once again, becomes an open green lawn for all to enjoy. As we have gathered feedback from the community, we know that many people want to see more shade in the Park. So, we are working on that too! We have been working closely with the Durham’s forestry manager, Alex Johnson to identify hearty varieties of trees that will be planted along the perimeter of the new sidewalk to create groves of shade around the lawn. About 20 arge-ish trees will be planted in early winter! We are also please to let you know that the skatepark is getting some much needed repairs! It should re-open by mid-October. 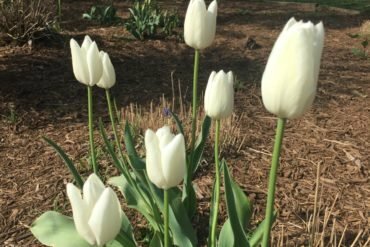 Help Us Improve the Park! Over the past few weeks, we’ve been seeking your input about the Park – how you use the Park, what you like, what needs improvement, etc – through our Community Input Survey in ENGLISH and SPANISH. Hundreds of people have shared their thoughts and we are so grateful! Our next step in the information gathering process is to hold Community Input Sessions. We will be holding two over the next couple of weeks. At these community input sessions, we’ll have brief presentation about the history of the Park starting at 6:15 each evening. After that, participants can circulate around to different tables staffed by DCP staff and board members to tell us what you’d like to see in terms of physical improvements, park programming, the Park’s mission, and more. These are drop in events. All are welcome to join! Why are we seeking your input about the park right now? Well, every few years, Durham Central Park takes the time to listen to the community about how they use the Park, what they would like to see at the Park, what is working, what’s not working, etc. Then, with the input from the community, we hold a design charrette to update the park’s Master Plan. A design charrette is where designers and community members get together to draw and dream of what the Park will look like in the future. From there, a revised Master Plan is created and the DCP board uses it as a guide for future updates and improvements. The Pavilion that houses the Durham Farmers’ Market and Mt. Merrill are both the direct results of community input to guide creation and revision of the Master Plan. The Master Plan Design Charrette will be held on Saturday October 8th, 9-Noon at Measurement Incorporated, 423 Morris Street. In fact, we are currently installing an element that has been on the Park’s Master Plan for a long time. The Loop Sidewalk is being installed on the east side of the Park between the Leaf and the Skate Park. 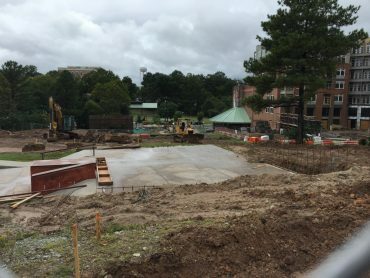 Right now, the whole hillside is torn up, but in a matter of weeks, an ADA-accesbile loop shaped sidewalk will be installed around the great lawn. The lawn will be re-graded back into a hillside that won’t be nearly as muddy and difficult to traverse as it is now. Please join us and help shape the future of Durham Central Park! Great Loop Construction Starts Soon! On Monday, September 12th, a big change is coming to Durham Central Park. We are pleased to announce that an ADA accessible loop shaped sidewalk will be installed on the east side of the Park. The sidewalk will provide an safe and easily traversable connection between Rigsbee Ave and Foster St. for the community (see image). No longer will people have to tromp up or down a sometimes muddy hillside to get from one side of the park to the other. This sidewalk has been in DCP’s Master Plan for many years and it is exciting to see it finally being built! We are also pleased to share that while we are adding this new sidewalk, the open space of the Great Lawn will be preserved and also slightly regraded to help with existing drainage problems. After the construction is completed, this winter, there will be new shade trees installed around the sidewalk. Tree locations TBA. Stay tuned. During the construction, the Great Lawn area will be closed to the public. Construction should last 6-8 weeks. Park visitors will have full access to the Leaf, Mt. Merrill, the bridge and the whole west side of the Park. 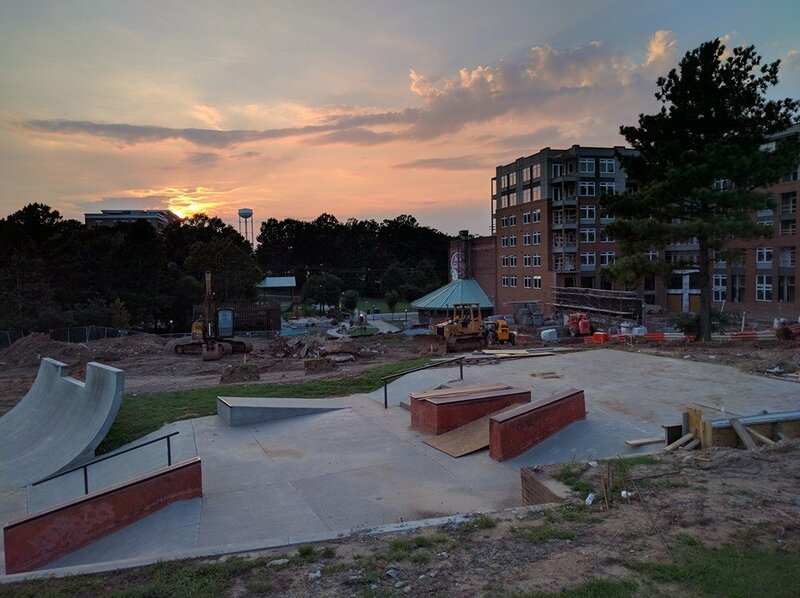 In the first two weeks of construction, the Skate Park will also be closed for some much needed repairs. After those repairs are finished, the skatepark will reopen and be fully accessible while the sidewalk is installed. This sidewalk installation will be funded in large part by East West Partners, the company that is building Liberty Warehouse Apartments. Over the years that East West Partners has been working on the apartments, they have been great friends to Durham Central Park. In addition to installing the sidewalk that has been on the Master Plan for years, they made a sizable donation to build Mt. Merrill and in the near future will be making a donation towards art in the Park. Our Food Truck Rodeo MAP is ready for Sunday! We’ve heard it called a “rite of passage” for Durhamites and visitors alike: our awesome rain or shine FOOD TRUCK RODEOS. They only happen five times a year: the winter rodeo in January, spring rodeo (usually when the clocks spring forward), Father’s Day, Labor Day weekend and Halloween weekend. All you have to pay for is your choice of food or beverage from 50+ local food, beer, cider and wine entrepreneurs. Here’s the line up, or check out the map. If you love LIVE music, Counterclockwise String Band begins three sets of progressive Bluegrass, Americana and string band music at 12:30 p.m.
5 minute DCP survey (Spanish or English)! Durham Central Park is seeking community input to learn more about your use the Park, what you like, and what needs improvement. By answering our brief 5 minute survey, you will help to shape the direction of the Park and make it a better place for the entire Durham community. This is the first phase of information gathering leading up to a public design charrette this fall. Stay tuned for more information on how you can participate. Please share the survey widely with friends and neighbors! At the end of the survey, you can enter a drawing for a Durham Central Park t-shirt. We appreciate your input! Meals from the Market and Trucks from the Market on sale August 19! Meals from the Market, including Trucks from the Market is DCP, Inc’s biggest fundraiser event. It is a series of meals from September to November that DCP enthusiasts offer to host at their home, restaurant or other venue. The meals have different themes and numbers of attendees. All the meals are donated by the hosts and the proceeds from ticket sales go straight to DCP, Inc. Tickets go on sale August 19 and sell out quickly. If you read some of these descriptions, locations and entertainment, you’ll see why. Buy Tickets! Son of a Butcherman (SOB) DCP Board member Sioux Watson and her British husband Paul Savery, son of a Brighton butcher, and also grandson and great grandson of butchers from Bristol, England, serve a four course meal featuring Savery family favourites from his home country. Chili-Fest in Love It or List It House in Cleveland-Holloway Maybe you’ve seen the houses being built along Elizabeth Street. These colorful homes are walking distance to Golden Belt, Ponysaurus, and Durham Central Park! One of them was one of the “list it” options on the 10-5-2015 episode of Love It or List It last year. Come see it first hand and join us as we enjoy tasty chili and beer. Sylvan Salon Series: The Music of George Gershwin for piano To benefit both Durham Central Park and the Mallarmé Chamber Players. Your music loving host and hostess are so proud of their newly renovated, historic home that they are inviting us all in to enjoy a special musical experience and a tour of their unique garden. The first of the “Sylvan Salon Series” will feature the music of George Gershwin performed by Dorothy Lewis-Griffith. A concert pianist, Lewis-Griffith made her orchestral debut at the age of fourteen with the North Carolina Symphony, and later gave her New York Debut at Town Hall. She has transcribed and recorded her own versions for piano solo of all Gershwin’s major works except the Cuban Overture.These are published on two CD’s by Etcetera. Vegan World Tour at Slaughterhouse Nein Slaughterhouse Nein is the name of an imaginary vegan pop-up restaurant that Greg uses when tagging photos on Facebook for friends to see what’s for dinner. Seitan, tempeh, and veggies are the only things on the chopping block here! Support Durham Central Park, and join us for a tasty vegan menu based on a mix of southern US, Indian, and Mexican cuisines. Bourbon Street Cuisine on Gloria Ave The Big Easy is known for its round-the- clock nightlife, vibrant live-music scene and spicy, singular cuisine– a melting pot of Cajun, Creole, Caribbean, Southern, French, African, and Spanish cultures further influenced by the city’s proximity to the Gulf of Mexico. Come join us in our historic Trinity Park home as we revisit New Orleans cuisine and laissez le bon temp rouler! Trucks from the Market! 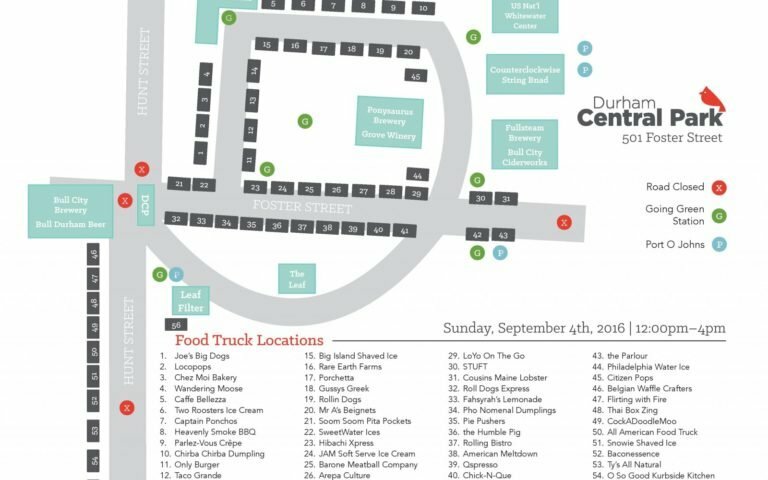 Durham Central Park, Inc. has produced several “food truck rodeos” in the park that have been wildly successful. Each one has been better than the last, with more food trucks participating and no long lines. The good folks at Pie Pushers and Only Burger are teaming up to organize this special opportunity to experience a private “mini-rodeo.” Each truck will prepare a sample of a special menu item they wish to share – to provide for a taste from each truck’s rolling kitchen! Bring out your lawn chairs and blankets and enjoy this unique opportunity to sample multiple trucks in one evening! Fullsteam Brewery will be on hand offering two beers per ticket and a cash bar. Esperanza’s Mexican Mole and More! Esperanza – we all know her as “Pela” – is generously opening her Trinity Park home for a Mexican dinner party. As a native of Mexico City, she is enthusiastic to share her specialties. And just what is an “impossible cake?” Come and find out! Southern Supper honoring Pauli Murray at Cassilhaus To benefit both Durham Central Park and the Pauli Murray Center for History and Social Justice. Enjoy delicious southern specialties in an architectural marvel at the edge of Duke Forest while learning about Pauli Murray- teacher, lawyer, poet, civil rights activist, Episcopal priest and writer. Enjoy a presentation by Barbara Lau, Director of the Pauli Murray Project in Durham, and special guests. Jazz Rocks: Jazz, Gemstones, Cocktails, & Canapés Groove, nosh, wet your whistle, mix ‘n’ mingle when jewelry store-turned nightclub hosts jazz singer Rah Bickley accompanied by jazz composer/arranger/pianist Ed Paolantonio. Local libations and ample farmer’s market bites will be provided by bartender and chef friends from Clouds Brewing and Triangle Seafood Market. For additional sensory stimulation, feast your eyes on newly discovered, sustainable-in-every-sense-of-the-word, color-change gemstone, Csarite®, and way more. An Encore Plus: Italian Feast to Warm the Heart Join us for another exciting multi course Italian feast, with premium wines, at Gocciolina’s, the 2016 Triangle Restaurant of the Year (N&O) and Durham’s 2015 Best Italian Restaurant (Indy) prepared by top chef Aaron Benjamin. Southern Harvest Meal at Threshold To benefit both Durham Central Park and Threshold. For more than 30 years, Threshold has served residents of Durham with severe and persistent mental illness. Threshold is open 7 days a week providing support necessary to keep members out of the hospital, to advance their education, to succeed in their work and to improve the quality of life for them and their families. Threshold members also prepare delicious home-cooked meals each day. Don’t miss this amazing opportunity to enjoy tried and true southern favorites from Threshold members, staff and friends! A Catalan Evening in Downtown Durham Located in the the northeastern corner of Spain, Catalonia is the diverse region that reaches from the Costa Brava to the Pyrenees Mountains. Home to Barcelona and Salvadore Dali, Catalonia is proud of their independence of identity, language and food. Matt Kelly, and his stellar staff at Mateo, will once again be pulling out all the stops to treat you to a night of Catalan deliciousness in the private dining room at award winning Mateo in downtown Durham. An Iberian Garden Party Anabela and Rune want to treat you to the sights, sounds and tastes of Portugal and Spain! We will see images from Portugal, listen to classic guitar themes of famous Spanish composers, offered by DSA guitar students, and there will be tapas, typical appetizers of Spain. The evening will end with a brief look at the life of Christopher Columbus presented by Portuguese historian, Manuel Rosa, author of COLUMBUS: The Untold Story. A Southern Italian Family-style Feast Chef Phoebe Lawless of Scratch will bring the experience of festive gatherings in this iconic region to our large tables at the Durham Central Park Cohousing Community. At the heart of the meal will be lamb, a celebratory food in the many diverse cultures that ring the Mediterranean Sea. The vivid seasonal produce of southern Italy will be in the foreground, contorni that highlight southern Italy’s extraordinary fertility. Vines are ubiquitous from Naples to Trapani, a tapestry of indigenous grapes and ancient wine traditions that produces more wine than any other region in the world. Jay Murrie of (Durham-based) Piedmont Wine Imports will pair small-farm organic wines of Puglia and Abruzzo to Phoebe’s family-style meal. Old North Durham: Sip, Savour and Laugh Three years in, the brothers and hosts are excited to turn heads and palettes. Expect nothing less than the whimsical wine and creative pairing from past years. An evening with Chef Sam Papinakas and Sommellier Yianni Papinakas carrying the tradition from Five Points to a new home in Old North Durham. Local Vocal The agents of Urban Durham Realty enthusiastically sell the benefits of living in Durham from their offices just a few doors down from the park. More like an art gallery than an office building, their colorful space on Foster Street will be the setting for an evening of dinner and music. Several a cappella groups from local schools will perform. Tasty tapas dishes and yummy desserts will be prepared by neighboring Foster Street restaurants, Piedmont and Rise. Jam to the smooth sounds of Durham’s very own NC cover band, Plan B, while enjoying a pipin’ hot bowl of freshly made Brunswick Stew in the yard at Bull McCabes! Surprise! Sunday Supper under the Pavilion Experience the Pavilion as never before, transformed into a magical space in the heart of Durham Central Park. This will be a culinary experience you do not want to miss! Gather with us for a candle-lit, family-style feast celebrating our wonderful Durham Farmers’ Market and all it has to offer. Enjoy a surprise menu full of beautiful market produce and NC pasture-raised meats with gorgeous wines to match. We’ll share stories, pass bountiful platters, sway to music provided by a live folk-blues guitarist, and clink wine glasses over this multicourse feast – all while helping to support our beloved Durham Central Park. Please join us for an evening to remember!